The LX7 is the foundational model of the LX7 series of aircraft. This model is a piston powered, pressurized cabin environment, retractable tricycle landing gear, high performance aircraft. The LX7 was born out of a love for high cruise speed and safe slow speed handling characteristics. The Continental TSIO-550-E engine produces 350 Horsepower for take-off and climb, directing that power smoothly to a metal, scimitar Hartzell constant speed propeller. A pressurized cabin is key to reducing fatigue of the pilot and passengers while enabling flight at higher altitudes with a greater degree of safety. Pilot centric workload reducing features abound in the LX7 as the safety of the occupants is the highest goal of the design, from dual-redundant main spar structures in the wing, to a whole aircraft parachute system, to standard airframe deicing equipment, the LX7 incorporates everything you may want plus many things you need to reduce workload and enable the pilot to make better decisions. The instrument panel contains an envelope protecting autopilot with an upset recovery function and large displays for situational awareness. Each of the four seats is appointed with heaters for the bases and the backs to provide additional comfort for everyone. The large windows accommodate a great view from the pressurized capsule that is capable of transcontinental flights, so you can see the sights from San Franciso to Washington D.C. non-stop. Building on the LX7 foundation, the LX7-20 provides additional cruise performance and turbine engine pilot workload reduction. A smooth application of 550 Shaft Horsepower (SHP) will rapidly accelerate the -20 model to flying speed and provide a spirited rate of climb while maintaining the confidence of the pilot and passengers through positive control handling and feedback. The -20 provides additional flight time between scheduled maintenance and an engine exchange program at regularly scheduled major inspections to keep you flying, not waiting for parts to arrive or inspections to be completed. The -20 is also perfectly suited to operate at FL180 with a 4500 foot cabin altitude making it one of the fastest and safest aircraft available for operating under Basic Med rules. Have a medical certificate? Climb up into the mid 20’s and experience smooth high performance with the efficiency few other aircraft have ever achieved. The LX7-20 will provide you will 285 knots true airspeed on 28 gallons of Jet-A per hour. 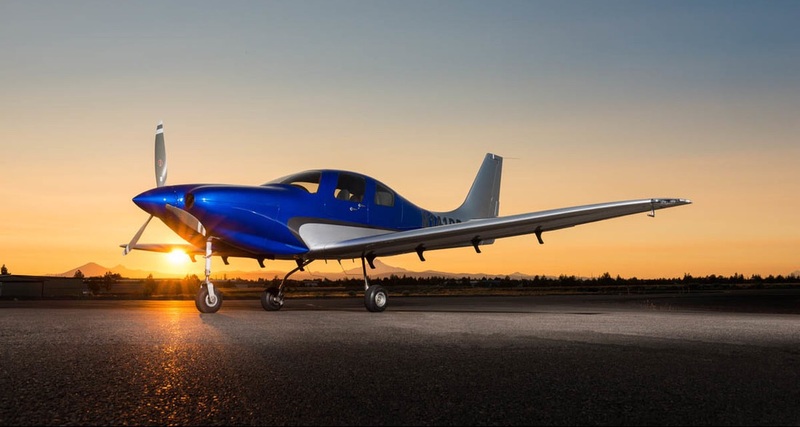 At an expected completed aircraft price of under $900,000 the LX7-20 challenges all other aircraft for speed, efficiency and low cost of operation. Simplicity is beauty. The LX7-A can be described as simpicity and performance together in harmony. A lighter basic airframe and a piston or turbine engine option give you a great degree of freedom with the LX7-A. The main gear is constructed from a solid piece of aluminum and attached robustly to one of the main spars of the wing. This solid connection assures the integrity of the assembly and keeps the cost of manufacturing to a minimum which is a win for you as a customer. Building on the simplicity of a fixed landing gear system, the LX7-20A provides even more freedom. The landing gear system is designed to provide nearly maintenance free operation and simplify pilot workload. The landing gear structure is designed to provide peace of mind by giving maximum performance with minimal pilot input. The LX7-20A also shines at routine maintenance intervals by reducing the inspections necessary and the overall parts count, both of which reduce cost of ownership over time. Finally, the LX7-20A has a lighter empty weight while retaining the same gross weight as the other LX7 models, giving you the highest useful load of all models in the LX7 family.